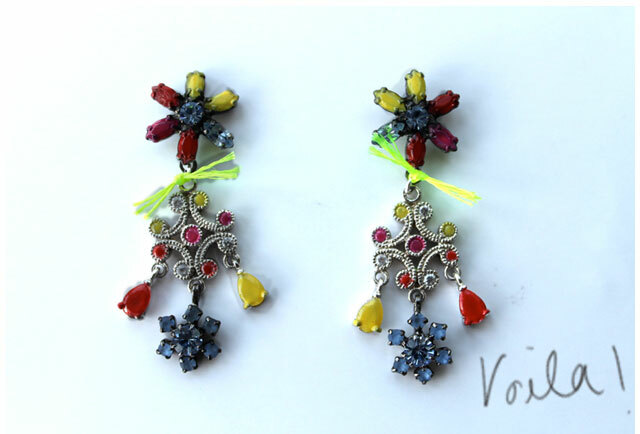 I'm a bit late to the party with this DIY but I thought I'd do my own version of a coloured jewelled earring anyway, I have seen them on so many blogs and thought if you can't beat them join them - plus I wanted a pair. 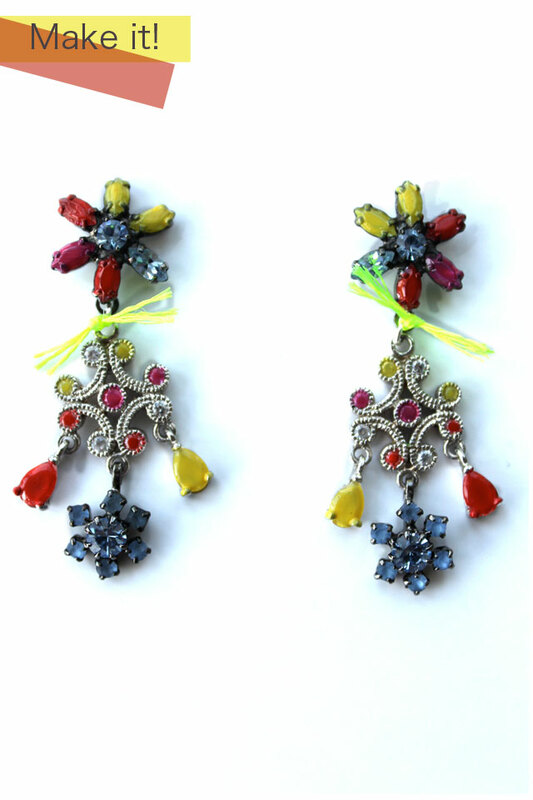 I made mine using a combo of two different earrings that I merged together, I recommend digging deep into your jewellery archive and see what treasures await to be created. A full tutorial is below. 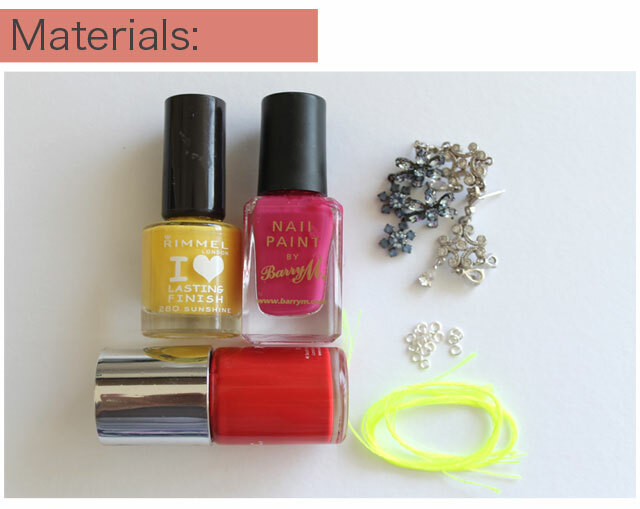 3) Colour the stones with nail varnish (I did two coats, leave to dry between coats). I pushed the pieces with the ear post into a matchbox to make painting easier. 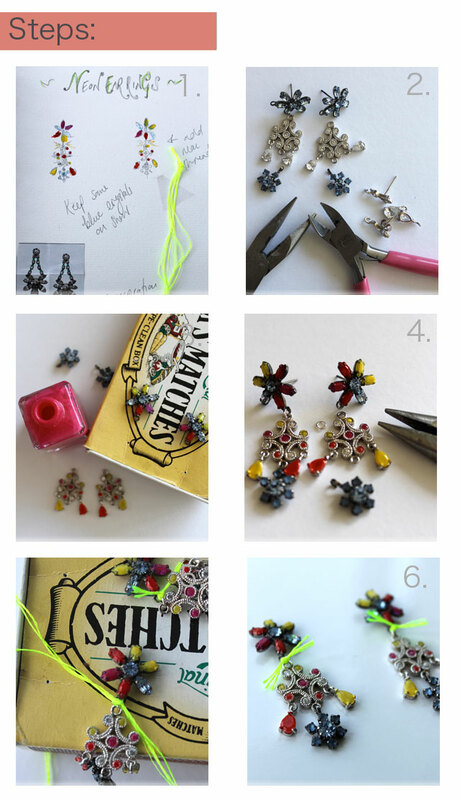 4) Once dry, re-assemble your earring pieces. 5) Take a few strands of your flouro thread and tie tightly around the jump ring. I added a tiny dot of glue to secure the knot.